Find the most economical and efficient solution. - Click this button. Answer some questions. An expert will contact you with answers to your dust problems. Do You Need a Portable Dust Collector on Your Shop Floor? 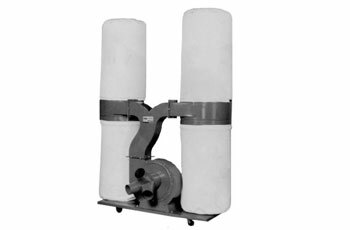 If you have workers making dust or fumes as they move fabrication from station to station, a portable dust collector can provide the needed flexible solution. Small, mobile, portable dust collectors work well with intermittent use in small spaces such as wood shops or tight production facilities. You can choose from a wide range of cartridge media, HEPA, washable media or electrostatic Filtration with blowers ranging from 200 to 3000 Cubic Feet per Minute. All portable units use at least one source capture arm. Many are modular with add-ons and options. Are you shocked by the price of dust collectors? Do you think a portable dust collector will cost less? Maybe you can get by with one small dust collector that travels from station to station. Its possible. But are you aware of other costs involved besides your initial capital expense? - Find the most economical and efficient solution. - Click this button. Answer some questions. An expert will contact you with answers to your dust problems. - All portable units use at least one source capture arm.